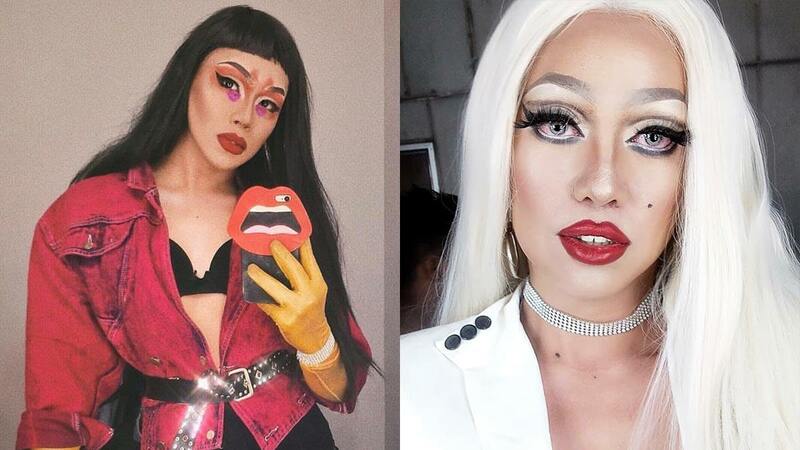 When it comes to makeup, drag queens may be the most knowledgeable group of ~ladies~ out there. Every time they perform, they have to make sure their makeup will last through all the dancing, splits, and death drops. We just had to ask them for their top beauty tips! "Being a host and always in the spotlight, I want my face to have a matte texture with a medium to full coverage finish. I use a powder foundation and use a mist before and after makeup. To avoid caking, I suggest [to just] use a blotting powder for touch-ups. And of course, don't forget to drink eight glasses of water every day, exercise, get eight hours of sleep, and have a positive outlook on life!" "My best tip would be to make sure your false eyelashes are completely black and not caked with eyeshadow and old glue from the last time you used them. Also, don't worry too much if your makeup isn't perfect. Nobody's perfect, your confidence and talent will save you." 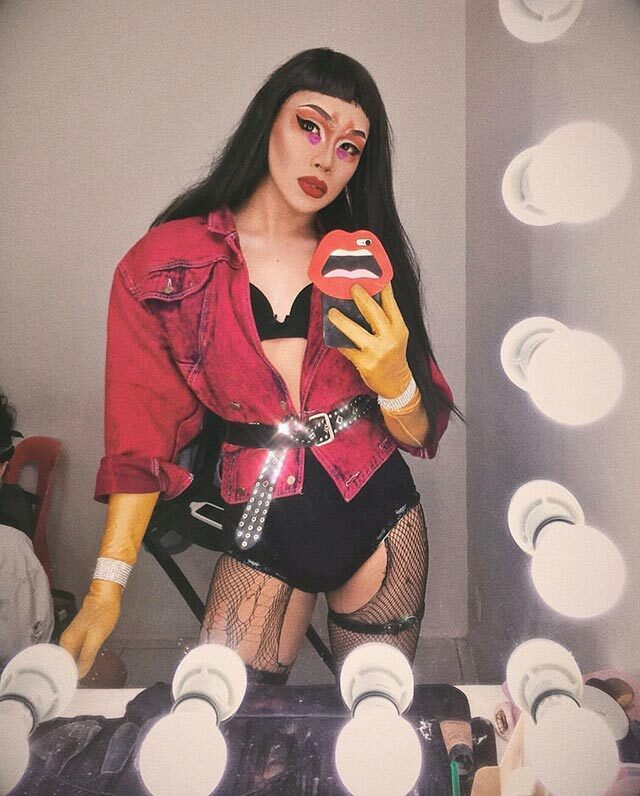 "When I get up in drag, I always do an exaggerated, wide-eyed makeup look. Here in Manila, it's hard to find a white eyeliner that is pigmented enough and can last a whole night of performing. So I use white face paint! It's a must-have in my drag makeup kit." "Be sure to hydrate and wash your face with a nice foam cleanser before applying makeup. A good primer means everything. And don't forget that positive attitude. Smile!" "My number one drag makeup technique would be the classic black smoky eyes. It's easy to do and looks stunning under stage lights. Also, one of the BEST makeup removers is dishwashing liquid. It removes all the heavy makeup so quickly, especially the glue stick on the brows." "My number one makeup tip when I do drag is to set your makeup using hairspray. It will keep your makeup in place the whole night." "Whenever I do drag, I always make sure that I don't end up looking like a man wearing a wig. Exaggerating femininity is key. To correct the manly areas on my face, particularly the beard and mustache area, I use a red or orange blush before putting concealer over them. If you don't have a red blush, lipstick will do!" "Brush your wigs repeatedly in a slow + gentle manner from root to tip to make sure the tangles go away without creating more tangles. And always use a lip balm before applying a matte lipstick so that you can remove it easily after." "Clean your brows before you glue them down. Use a cotton pad with toner or alcohol on your brows to remove dirt and oil residue. After applying primer, set it with translucent or anti-shine powder before your foundation. Wet your brush with a setting spray before you apply your highlighter for an amplified effect." "Use fake blood to cover all your PERFECT imperfections. Plus, it makes you look natural and very relatable. *Wink*"
"My only beauty tip when doing drag is to have fun! Don't worry about any existing 'rules' and just do whatever you feel like. The only limit is your imagination!" *Responses were edited for brevity and clarity.